Going to Usadba Jazz Festival? Balalike it! 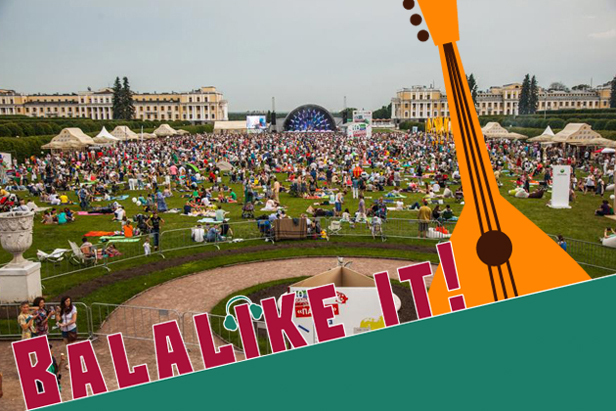 In the run-up to the annual Usadba Jazz Music Festival, RBTH introduces six of the most interesting Russian bands due to perform this weekend in front of tens of thousands of people at Arkhangelskoe Estate Museum, five miles outside Moscow. The Betty Boop Lovers are real swingers, having chosen to model themselves on the best big bands of the age of Prohibition and the early rockabilly and rock-and-roll performers, creating in the process Russia’s finest jive band. Rofano are like-minded musicians, appreciated by audiences for the quality of their material that transcends stylistic limitations and their desire to show the full beauty of live sound. Therr Maitz has played Usadba Jazz before. All their previous concerts sold out in no time and were musical sensations. Odno No features the sound of the Turkish clarinet, the Iranian ney, and the ancient santur, blended effortlessly with drums, funky guitar, and electronics. Triangle Sun founded the Russian lounge-scene. Known and loved in dozens of countries, they are not preoccupied with format and think of music as a conductor of soul energies.